This document will help flood victims prepare for recovery work and understand what a professional contractor may need to do. 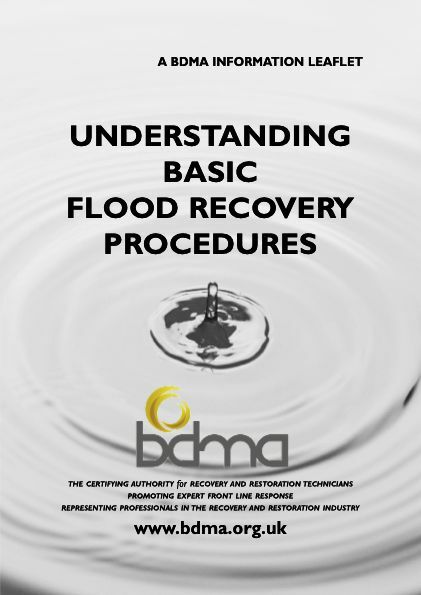 It explains some of the procedures that may need to be carried out to recover flooded property and should give those affected a better understanding of what to expect from professional contractors. This can help to make the experience less stressful.